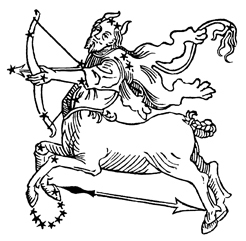 Sagittarius is an energy that is also associated with philosophy and higher education, which would make knowledge an element of security to that Sagittarius energy. During the Moons travels through Sagittarius is a great time to take up a new subject, or go on and make that decision to go back for your degree or study Yoga. These are all ways to use that energy. At the very least it might be a good time to pick up a good book, particularly one that takes place in another time or another place. The Sagittarius energy will be appeased.